Replacing the Action Bar. 03/27/2018; 7 minutes to read Contributors. In this article Overview. One of the most common uses for the Toolbar is to replace the default action bar with a custom Toolbar (when a new Android project is created, it uses the default action bar). The action bar's current hide offset is the distance that the action bar is currently scrolled offscreen in pixels. The valid range is 0 (fully visible) to the action bar's current measured height (fully invisible). 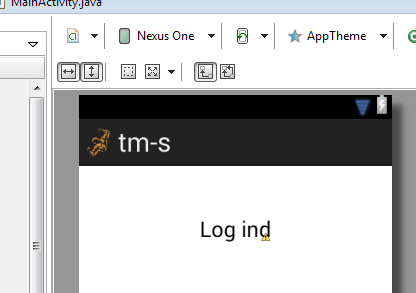 @chrisjenx, ActionBar uses just a regular TextView for the title (ActionBarView class and related layout). Calligraphy handles this view properly and font is changed as expected. It seems the proper usage is to give it a valid font family name. This works. I don't know how to apply this with a custom font, but I don't really need it. I just want Roboto. This works. I don't know how to apply this with a custom font, but I don't really need it.